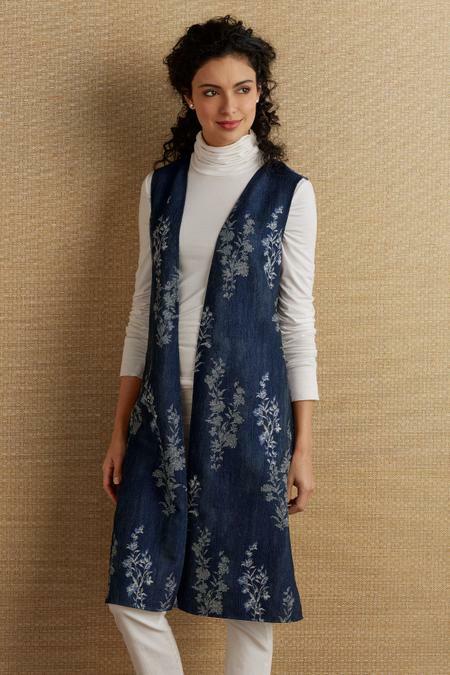 With a simple silhouette, our floral-spray woven jacquard vest tops off a look with loads of fresh appeal. It's fashioned with an open front and generously long length, with an architectural angled overlay in back. 42" long.